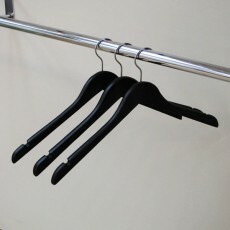 This white clip hanger measures 35cms across the top of the wood and has a chrome hook that can twist to suit displays. It is made from wood and painted matt white. It has two chrome rectangular hooks to hold your skirts, trousers and other garments on. The clips have clear rubber grippers to stop your garments getting marked. 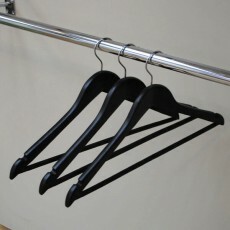 This is part of our white hanger range along with the white no bar hanger and bar hanger. It is a top seller for us at Shopfittings. We sell it to many high end retailers and smaller shops. 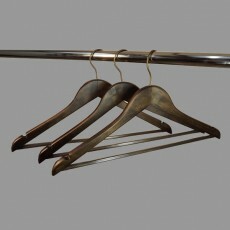 It gives a modern classy feel that displays your hard to hang items their full potential. Its clean lines make it suitable for modern shops and stores. 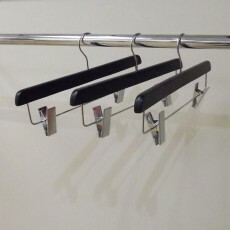 The white wooden bar hanger is available individually or in a box size of 50 making a wholesale saving. 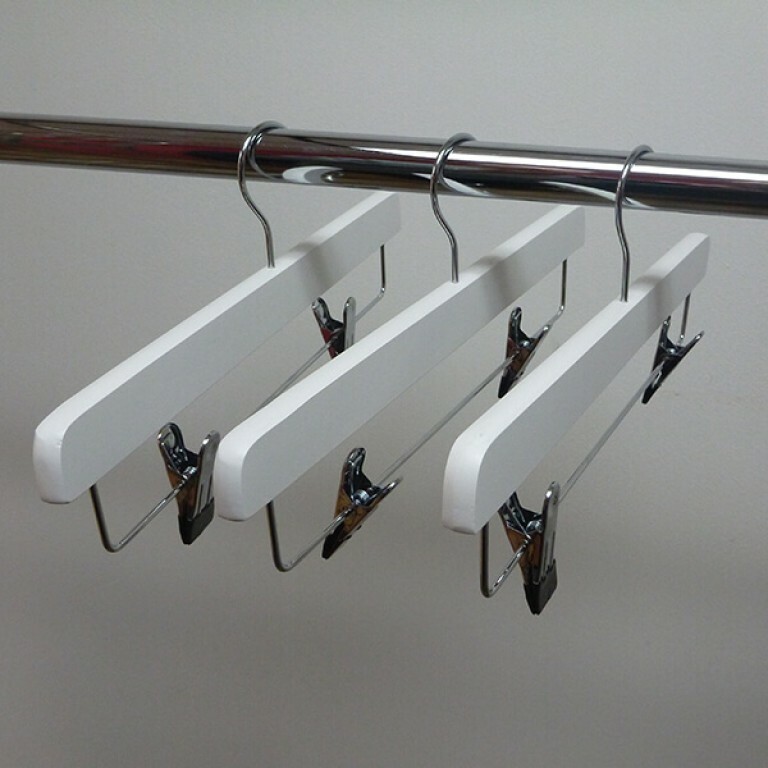 Superior quality wooden clip hanger (matt white wooden coat hanger with metal clips). it was quick and o time. Thanks!